Understand what is likely to happen in the future is prerequisite to make wise plans and decisions. Designers and analysts have to make better-informed risk assessment decisions based on evaluations of the risks and results related with alternative designs and other risk-mitigating actions. 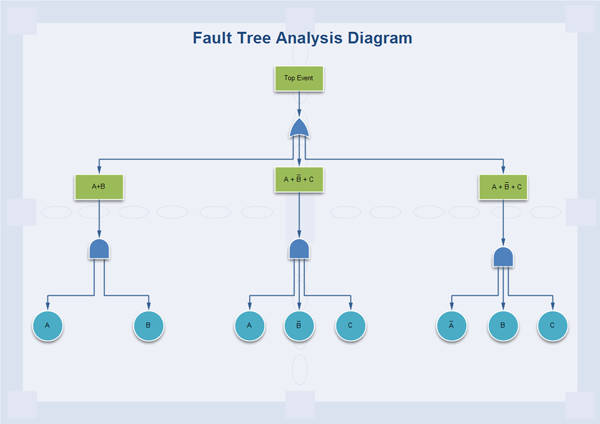 Fault Tree Analysis can help address the ways of undesirable events could occur by providing you with data showing how and under what circumstances the catastrophic failure or hazards could occur. it is a graphical representation of the major faults or critical failures associated with a product, the causes for the faults, and potential countermeasures. The tool helps to identify areas of concern for new product design or for improvement of existing products. It also helps users identify corrective actions to correct or mitigate problems. Edraw has built its reputation on the efficiency, precision, stability and ruggedness of its Fault Tree products. That is why millions of Edraw have been installed all over the world, which are presently being used in major projects of many fields as varied as education, fashion, aerospace, defense, rail, chemical process plant, oil & gas and medical amongst many others. On top of these is the user-friendly interface allowing simple creation or adjustment of projects. 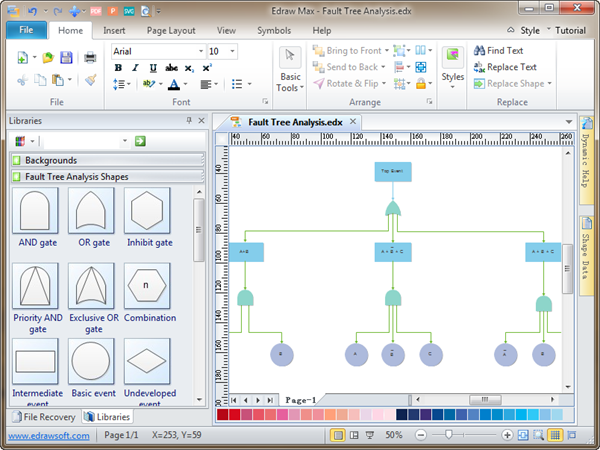 Create professional-looking Fault Tree diagram from examples and templates with Edraw. 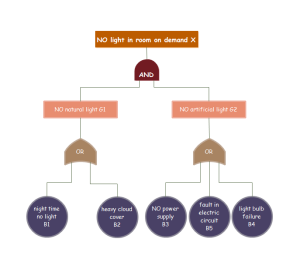 Please click here to download Fault Tree Analysis Software. 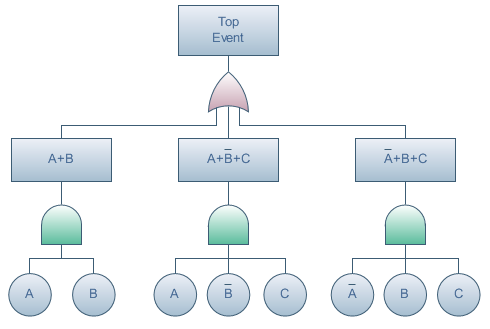 Then you can use the built-in Fault Tree templates to create and present your business process with ease and effect.